Whenever a missing atom [responsible for vacancy] occupies interstitial position as shown in Fig then that defect is known as Frenkel defect. Noted that a frenkel defect is a combination of vacancy and interstitial defects. 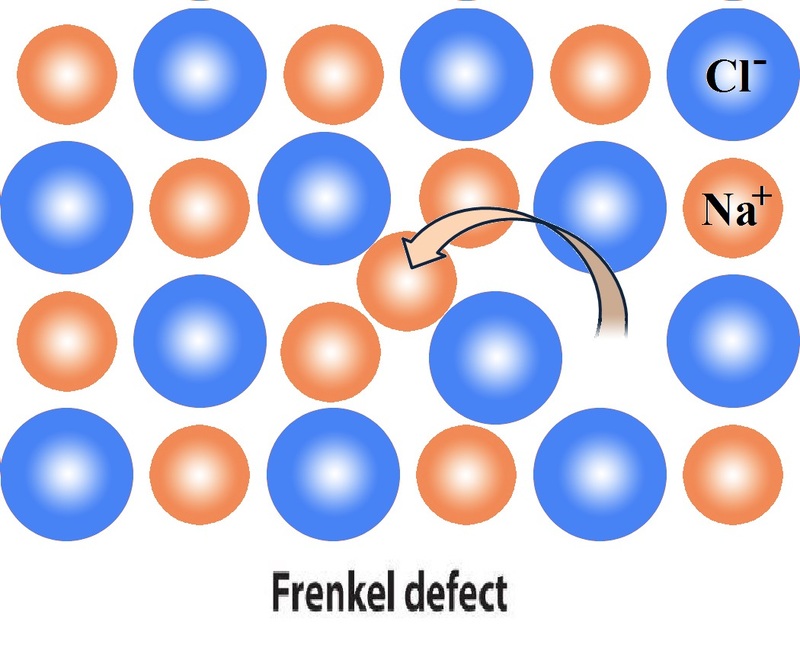 The interstitial and frenkel defects are less in number than vacancy and schottky defects, because additional energy is required to force the atom into the new position.